A modern take on the classic slip-on loafer, our Faris stylefeatures a lightweight sole and a two-tone ribbon trim and tassel detail. 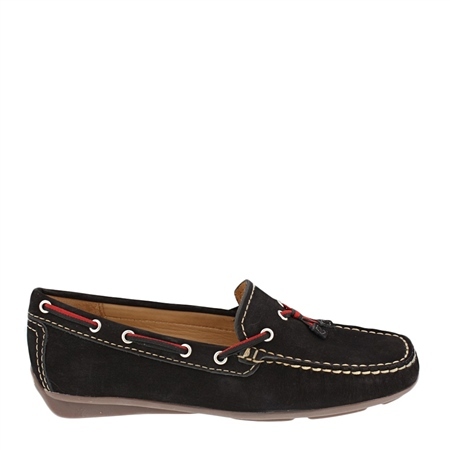 The bold contrast stitching and soft leather lining make this loafer the perfect accessory for your favourite denims. Available in Red, Tan, Brown, Green, Grey, Indigo, Navy, Pink and Dark Taupe.